Dubai, UAE, August 07, 2018: Hilton has launched an innovative web platform that offers a range of new and exclusive experiences across its luxury brands, Waldorf Astoria Hotels & Resorts and Conrad Hotels & Resorts. The website, where experiences are filtered by the senses, will give guests unprecedented access to local tastes, sights and sounds, including a chance to live the highlife with the Waldorf Astoria’s personal concierge team, cruise the streets of Rome in an Italian classic car with their own paparazzi to capture the moment, and marvel at the breath-taking beauty of The Red Pyramid of Dahshur with a dedicated personal guide. With the launch of Hilton’s new Luxury Experiences platform (www.explore.hilton.com/luxury), guests will be able to book exclusive, authentic, and local experiences in destinations all over Europe, Middle East and Africa (EMEA). Dominique Piquemal, Vice President Luxury Operations EMEA at Hilton, said, “Now more than ever, luxury consumers are looking for unique experiences and unparalleled access, no more so than here in the Middle East. 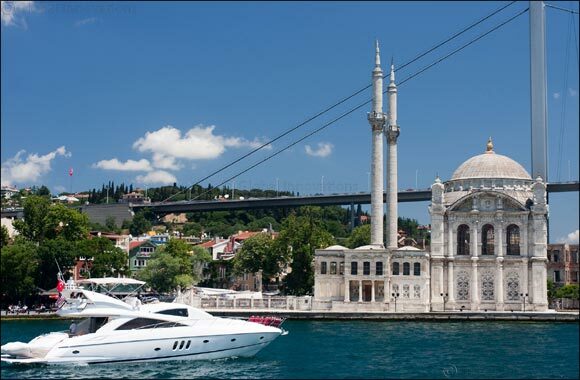 Conrad Istanbul Bosphorus invites guests to a private trip on the water, sailing the famous straight that divides the continents of Asia and Europe. Your guide will be your modern day Scheherazade, conjuring the magic of Istanbul with history, sights, and fables. Beverages and light snacks will be served on board your private luxury yacht. At Waldorf Astoria Ras Al Khaimah, the region’s most exciting mountain adventures awaits. Ras Al Khaimah’s Jebel Jais is home to the world’s longest zipline and via ferrata. Professional instructors will guide guests along a spectacular route traversing through the UAE’s highest mountains. The world’s longest zipline experience will see participants fitted with a special harness for their unforgettable flight before continuing their journey back to the ground. Indulge in exploring Jeddah and uncover the hidden secrets of the Red Sea with Waldorf Astoria Jeddah - Qasr Al Sharq. Explore the underwater wonders of the deepest lake in the world, witness the famous Red Sea coral and 5,000-year-old reef. After a unique scuba diving experience, enjoy evening tea at the Amwaj Lounge, located at the adjacent Jeddah Hilton, with a spectacular view over the Red Sea. Take a spiritual journey with Conrad Makkah and enjoy a hassle-free visit to the Holy City. One of our luxurious cars will drive guests directly to the hotel where everything will be ready, and a dedicated butler will take care of their every need. Our expert driver will provide an overview about Makkah before guests arrive at the hotel and relax in the Executive Lounge. At Conrad Cairo, guests can experience the ultimate camel ride. Take a limousine to the camel stables at the pyramids, and then ride out to experience the desert landscape from a calmer and more authentic perspective. At the end of the day, guests will return to the hotel for a relaxing massage treatment at the Health Club centre. At Waldorf Astoria Amsterdam guests will be met at the steps of the hotel and driven in a horse-drawn carriage to Chandlers Warehouse, a private warehouse home to the world’s largest private collection of Louis Vuitton suitcases. Here they will have a chance to explore the warehouse’s hidden treasures and listen to stories from the 17th century shop before being served a fine-dining five-course dinner. At Waldorf Astoria Trianon Palace Versailles guests can book to sit at the ‘Chef’s Table’ in Gordon Ramsay au Trianon restaurant. Here a bespoke, Michelin starred menu will be created exclusively for them, right before their eyes. Those looking for something truly memorable to celebrate their love will find the perfect opportunity at Conrad St James, where you can propose to your special someone in genuine fairy-tale style. Stay in the hotel’s Conrad Suite and arrive to a bottle of champagne and a rose petal decorated room. Enjoy a romantic horse and carriage ride through London, accompanied by a private photographer who will capture the moment. The day ends in a delicious afternoon tea for two in the elegant Emmeline’s Lounge. With over 20 experiences across Europe, Middle East and Africa, the Luxury Experiences platform will ensure it is easy for guests to browse authentic experiences and have a seamless, unforgettable holiday.